Carnival's animation is abit wonky... what's with that dark shadow towards the end of the looped animation? Rye's Dance animation not linked. edit: also, Eka's Wing animation link is broken -- missing a ".gif". Here are the BGMs for Beast Tamer. The embedded video also features a slideshow of the many different cut scenes that are present for the new class. Wow, they made Grosso Polpo part of the plot. shame you can't tame him. haha. I peeked at the Korean map and I think Lantern Tree Village is suitable. Do you see the lanterns coming out of the trees? As far as I know there is no mention of a Lv. 200 skill. thx for animations. Most links ok. Detailed animations and stuff will probably have to wait for Locked to do it in due time... don't overwork yourself here (you probably did everything manually I'm guessing). "After using 'Guardian Mode Change' skill (Shift), press the right arrow' key to change to (Rye the Snow Leopard)." I did manually enter the links for the animations which took quite some time. But, everything else was done by a friend, including the animations. I cannot extract CMST, since I don't have it installed and it'll take me days to download the setup according to Google Chrome. But, it uses a new weapon called the Tamer Stick. Beast Tamer uses INT as its primary stat. No idea about the secondary equip. HS, Kanna Spawn Rate Increase and this. They look really good, especially the Fafnir one. I'm glad they don't all look like the catspaw one she starts with. They kinda look like a cane/staff hybrid. 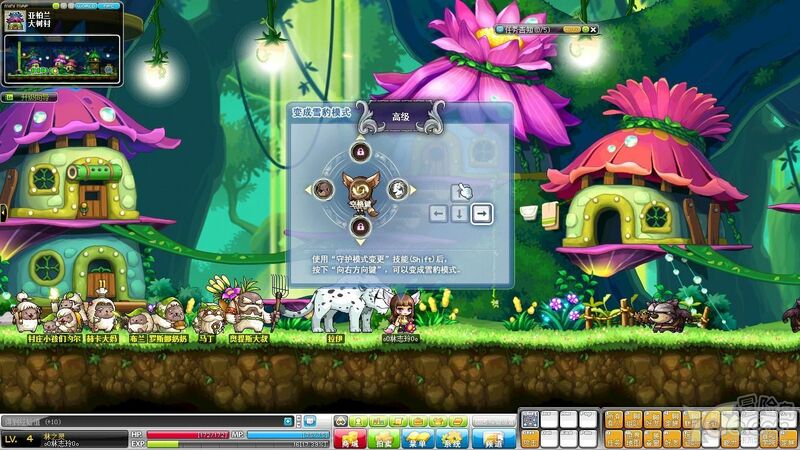 Woah, Nexon doing such a good job graphic wise. Must make this my new secondary main. Totally agree. I thought Eunwol looked pretty interesting, but as soon as we saw its skills I was thoroughly and utterly disappointed. And it's a Mage. I'm so pumped now. 6% pdr and 20% boss? Comparing a Mage to a Pirate? Stop. Compare Eunwol to other Pirates and BT to other Mages. Comparing a hacking program to a set of classes? Stop whining about some hacking program not everyone has heard about. Anyway, BitTorrent should come to mind first and not whatever hacking program you're talking about. You have issues. SO F'UCKING STOP LOOK HOW TOUGH I AM LOOK HOW 2EDGY4U I AM I YELL AND SCREAM EVERYDAY BECAUSE I AM LIKE THAT. Confusing an abbreviation with a program that has absolutely no impact on the game this forum is based on would be stupid and not make sense. SO F'UCKING STOP LOOK HOW TOUGH I AM LOOK HOW 2EDGY4U I AM I YELL AND SCREAM EVERYDAY BECAUSE I AM LIKE THAT.